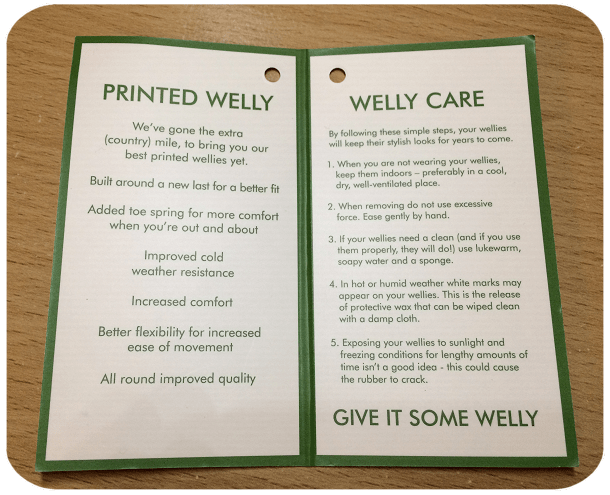 I’ve not been a wellies girl for a while but recently I did think that getting some would be handy since we’re hopefully going to be sorting the garden out this summer (see my previous post). 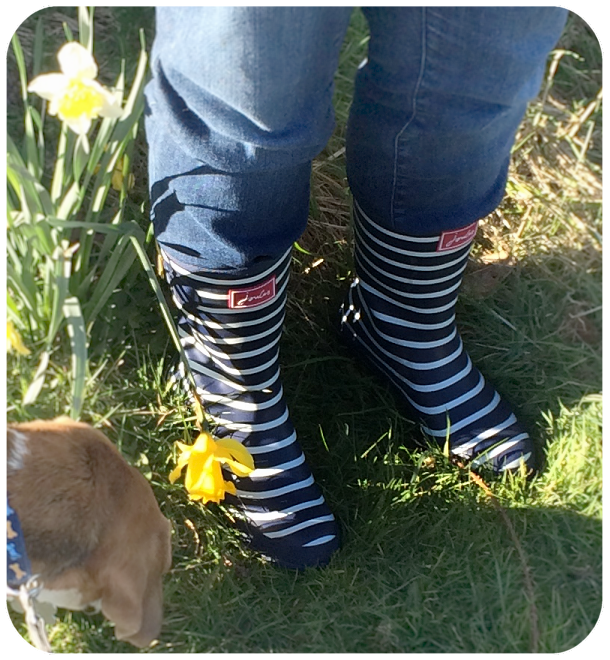 So when Joules contacted me to review a pair of theirs I thought “fantastic”! 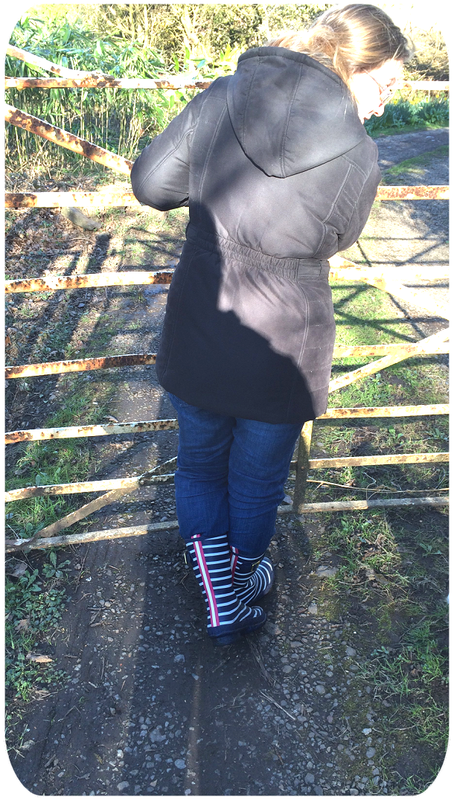 I was sent a pair of these short wellies – I can’t wear long wellies thanks to my fat calves! So the short wellies were a superb choice. This pair – whilst given for free for the review – would have cost me £36.95. They are of fantastic quality and are absolutely gorgeous! In fact when my aunt saw the parcel she instantly said that Joules were a great company. 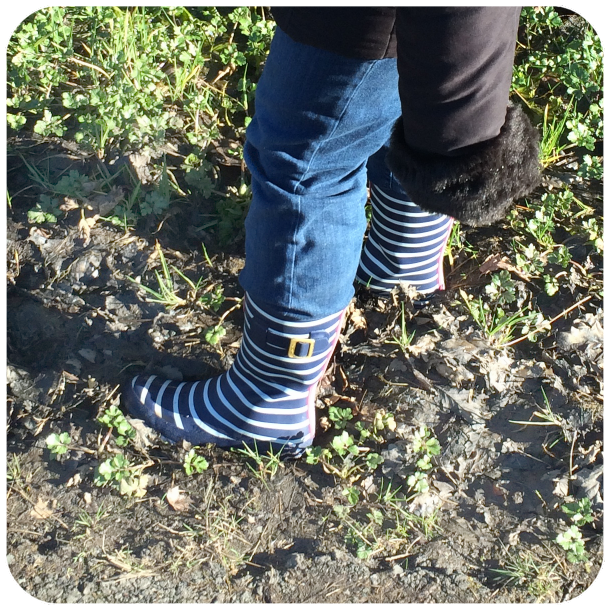 Thankfully Saturday was a gorgeous day, so in the afternoon we went for a walk so I could test the wellies in the countryside. We took a walk down to the local farm with the dogs and Little Miss. They were lovely to look at and comfy underfoot. However it pains me to say it (because they are beautiful!) they did cause me blisters on the back of feet! I’m not sure if this was due to me not having worn flat shoes for a while or not. I’ve read other reviews online and no-one else seems to have had the same problem. So I’m putting that down to my oddly shaped feet! As you can see I tested them in mud – well that’s what Wellies are for! They were completely waterproof and so my socks stayed dry. It was great squelching around in mud – like being a kid again! As someone pointed out in the reviews you do need to make sure you don’t jump into deep puddles since these were short length wellies (longer lengths are available). So there you have it. 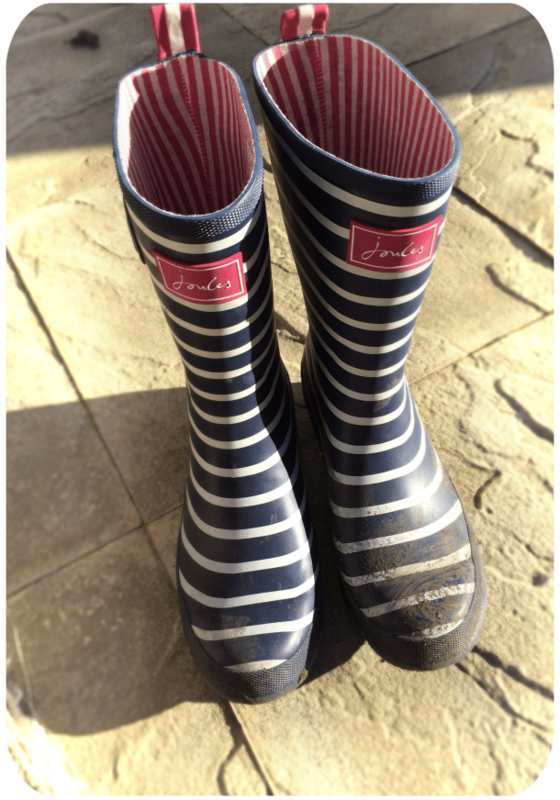 My review of Wellies from Joules.com – they have lots to choose from so if you’re looking for a pair of wellies be sure to give them a go. 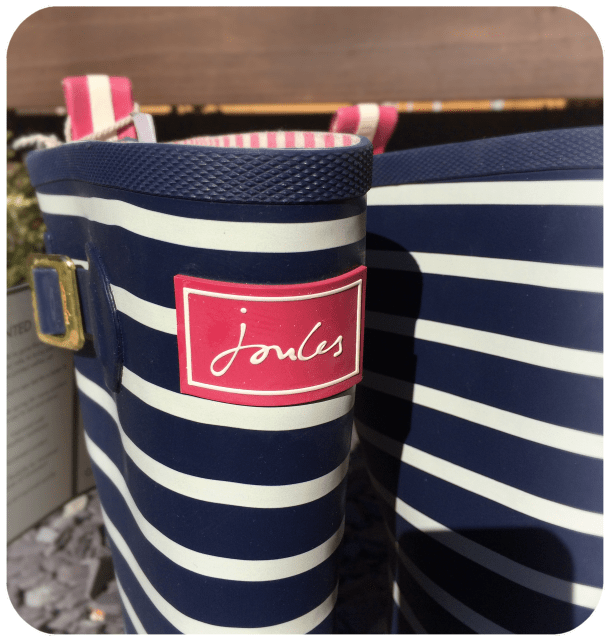 Joules do gorgeous wellies. I keep thinking I should get a pair. They are gorgeous! Give them a go! Those wellies are cute! I need some, so I hope I can decide on a good (affordable) pair soon enough! That’s why I was so pleased to have received this because I needed a pair for gardening! Hope you find some soon! Wah!! 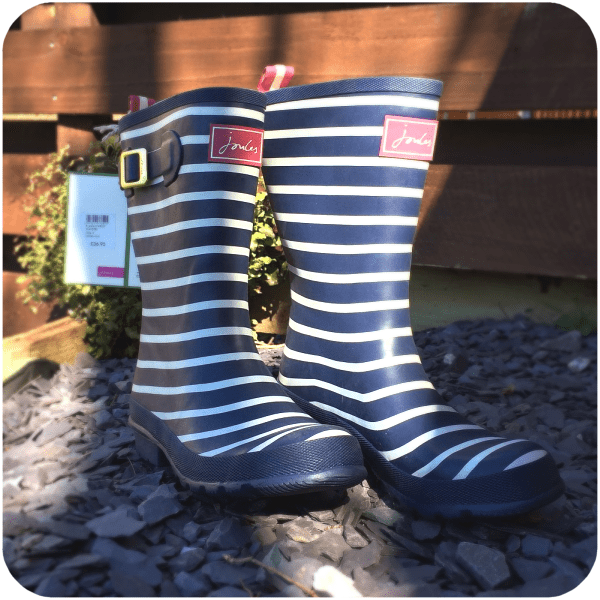 Joules (if you are reading and want to spread out into Canada), I will blog about your wellies! There was a time when literally everything I owned was Joules! Lucky you. Yay! There must be more of us in the North! We’re just hiding! And the Wellies are so lovely! It’s great finding fellow Welshies!